KATHMANDU, Feb 24: CPN (UML) general secretary Ishwar Pokharel has stressed on the development of tourism sector in the country. 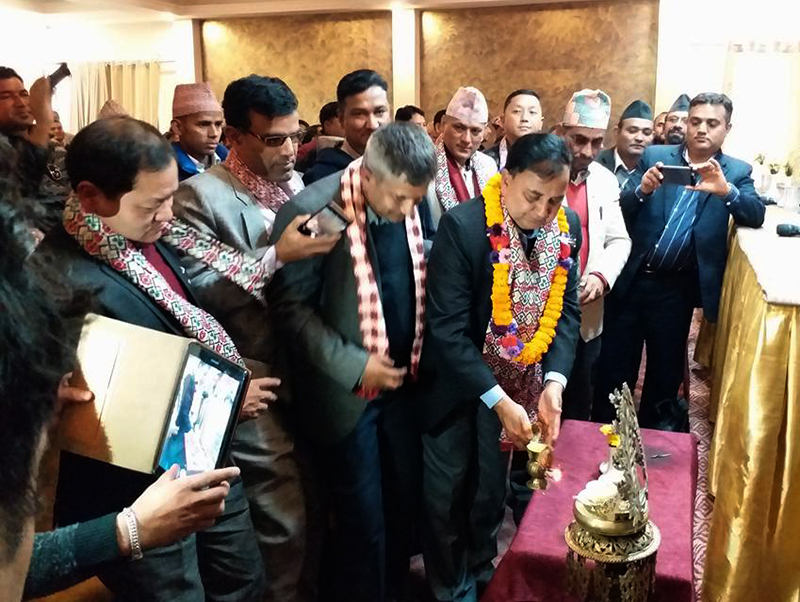 Inaugurating the second national congress of Nepal National Tourism Entrepreneurs Association here in the capital Friday, leader Pokharel said that the government should prioritize to develop the tourism sector. Similarly, UML central member Surya Thapa who is also chief of Tourism Promotion Department of the party, stressed on resolving problems seen in the sector. The Association chair Chandra Rijal urged the government to bring clear policy regarding the tourism sector. The congress will conclude electing a new committee.